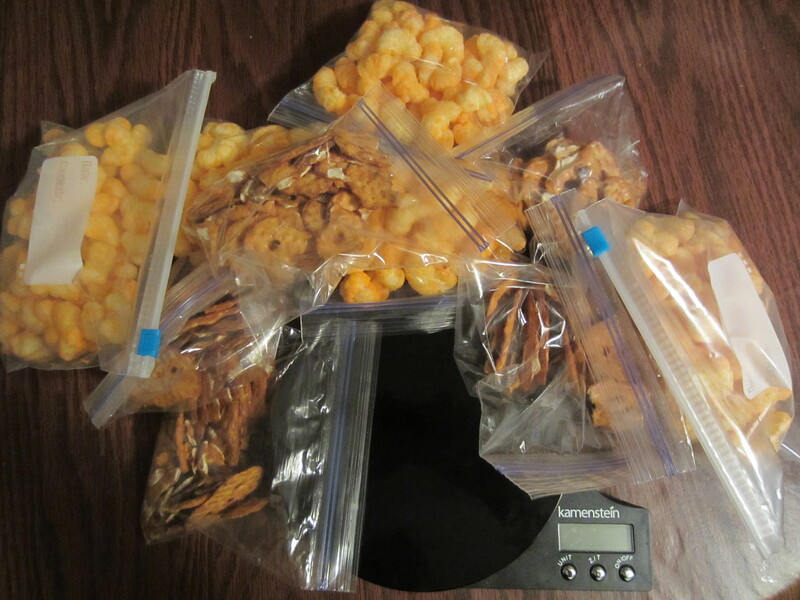 One of the key factors to weight loss success on the big weight loss company programs is portion control. Think about it. Jenny Craig is all about their pre-packaged, portioned out food. Same with Nutrisystem. Weight Watchers is based on a points system that’s all about keeping your portions to a certain amount during the day, and they have frozen , pre-packaged food as well. Do you need to eat their food to lose weight? Of course not. But let’s not play…paying the money to get the pre-portioned stuff keeps you honest, makes someone else do the measuring for you, and takes the guess work out. So let’s say you can’t afford one of the bigger programs, or you just don’t want to. What do you do? I’ve talked before about the importance of keeping track of what you eat (Log Your Food). 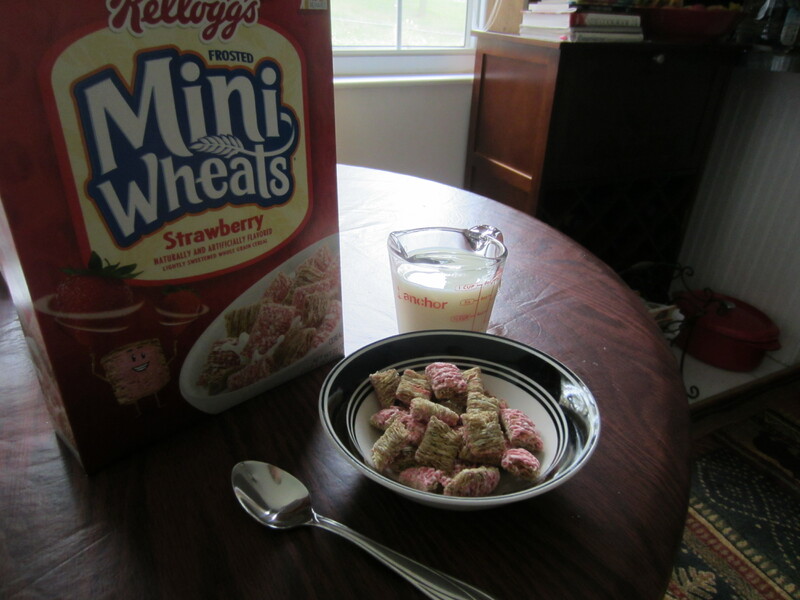 But just because you say you ate one serving of Strawberry Frosted Mini Wheats, doesn’t mean you actually did…unless, of course, you measured. Measuring is kind of pain, and it’s easy to get away from. So here’s what I recommend. When you find yourself forgetting to regularly bring the measuring cup to the breakfast table, start pre-packaging your cereal. Overdoing your portions is so easy, even for the weight loss extremists like me. I’ve eyeballed serving sizes a million times, and ended up, for example, eating extra pretzel chips or oven baked cheese puffs. Even though these are examples of snack foods specially selected because they are low in fat, the difference between one or two servings is a matter of over a hundred calories. When each serving is only ten pretzel crisps, that’s really easy to double without even noticing you’re doing it. So if you’re serious about losing weight, either join a program (which I do highly recommend), or make your own. Set up your week like a weight loss program. You can buy in bulk (pre-portion a box of cereal, or weigh and bag your lunch meat/cheese for a week’s worth of sandwiches), or go for more variety by utilizing your freezer. You can always cook a big pot of something, measure out the correct amount of servings that the recipe calls for, and then freeze each serving individually. Or you can just buy stuff at the store that’s already pre-portioned, such as Yoplait Greek Frozen Yogurt Bars (they’re so amazingly delicious), Lean Pockets, or granola bars. Make sure most, if not all, of your meals are measured out or pre-portioned, and you’ll be well on your way to seeing what you want to see in the mirror.